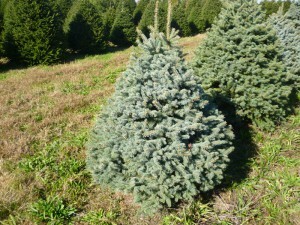 Why Do Spruce Trees Show Interior Needle Discoloration? 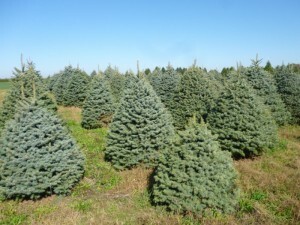 Occasionally, observations of White Spruce (Picea glauca) or Colorado Spruce (Picea pungens) within landscapes, nurseries, & Christmas tree farms will show current needle growth having a blue or blue-green color, but with older, inner needles having lost the desirable color and turning pale or even yellow. 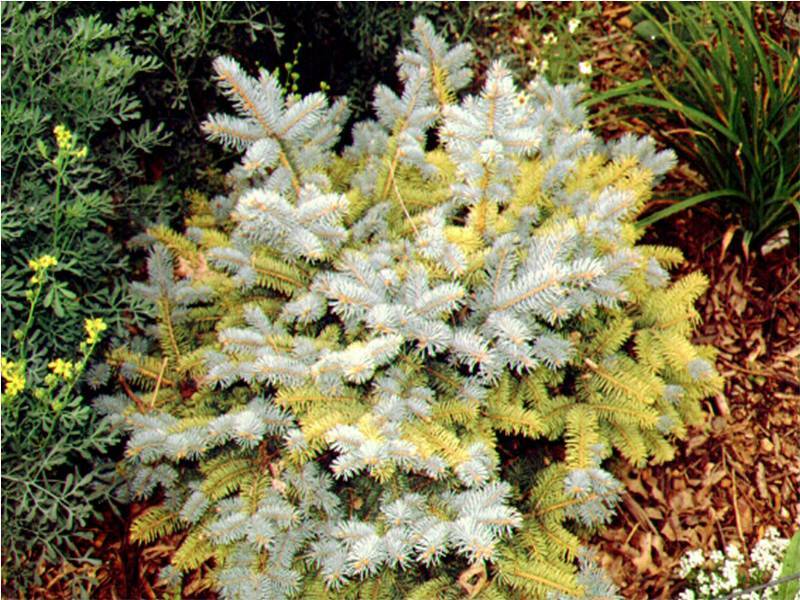 Although sometimes seen on Norway Spruce, these symptoms are most common on the White & Colorado Spruce species. Sometimes symptoms can become dramatic and initiate both aesthetic and plant health concerns. Although the reasons for such symptoms can be from a complex number of conditions, a compromised root system is typically the underlying cause. 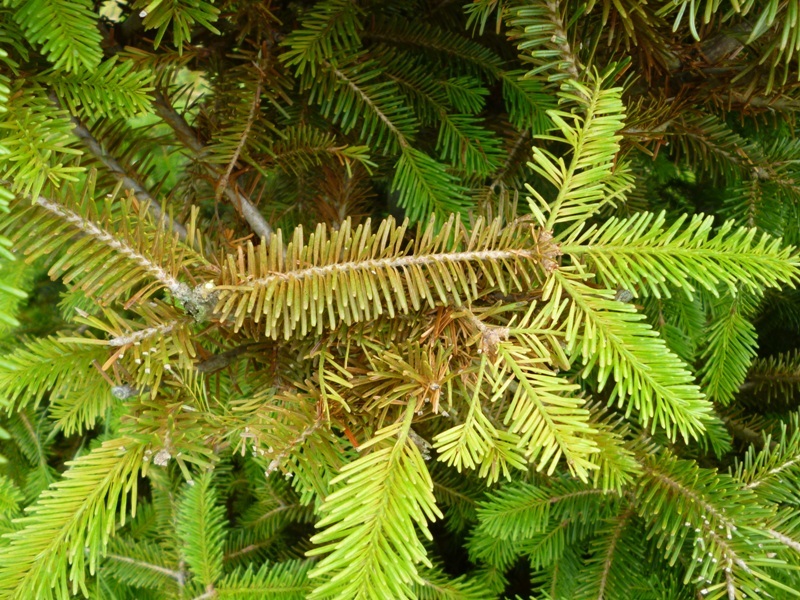 The yellowing or off-color of older, interior spruce needles are most likely symptoms of trees having root system problems. 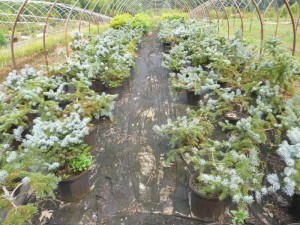 However, first eliminate other causes such as spruce spider mite stippling symptoms or dormant oil applications that may have removed the waxy glaucous bloom growth on needles. 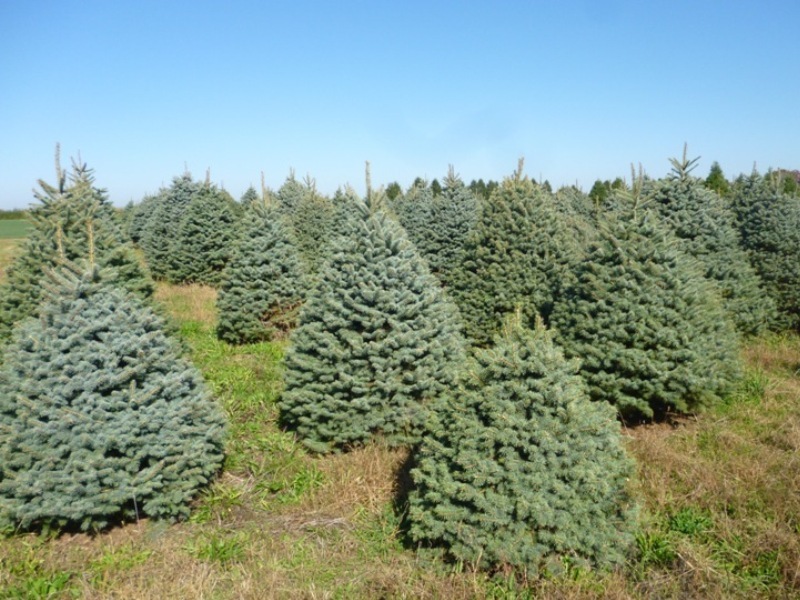 Unless they are correct, some cynical clients may even make claims that their tree care company sprayed dormant oils on their Colorado blue spruce and caused the loss of the blue color on the older needles. 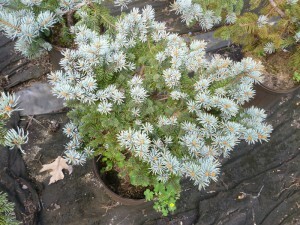 Also, over time, the blue or blue-green waxy bloom on the older needles can be partially removed by natural weathering. Compromised root systems result in nutrient deficiencies within the spruce and sometimes, more specifically, the inability of roots to uptake Potassium (K). Also a Magnesium (Mg) deficiency may be involved as well. Furthermore, highly acidic soil pH can be a factor. Although excessively dry soils have also been implicated as a potential cause, most commonly, spruce trees growing in excessively wet soil conditions will be the reason for the symptoms. Nevertheless, in order to compensate, the tree creates a self-induced deficiency of potassium (K) to older needles by translocation of K to the newest growth needles. Hence, the two-tone coloration of blue/green new growth needles vs. pale to yellowish old growth is created. Stated in other words, when the roots cannot uptake additional K from the soil, then the new growth receives priority. The limited K is now taken from what is available in the older needles and donated to the new growth. Similar to K, nitrogen (N) is also a mobile element and can readily translocate from older to new plant tissues. Immobile elements such as calcium (Ca) do not readily translocate and hence, deficiency symptoms will be observed initially in the upper, new plant tissues. Most likely, fertilization with potassium (K) will not solve the problem because the cause is from root stress and not a shortage of potassium in the soil. It is important to note that studies have shown excessive nitrogen (N) fertilization within soils that are in fact potassium (K) deficient can even further limit the uptake of this nutrient. The stress of roots growing in anaerobic conditions produced by wet or saturated soils will cause of the symptoms since the movement of soil minerals into and across plant cell membranes requires oxygen. Therefore, a solution to the above concern is probably not more fertilization, but to improve the drainage. This may not easily be solved in lower areas with soils having a high clay percentage. The same symptoms at some locations may occur periodically during very wet seasons that trigger occasional flooding. The pale or yellowed older needles often never fully return back to their previous coloration even after soil conditions are corrected or become more optimal. Generally, the flow or transport of potassium (K) is primarily to the new growth. 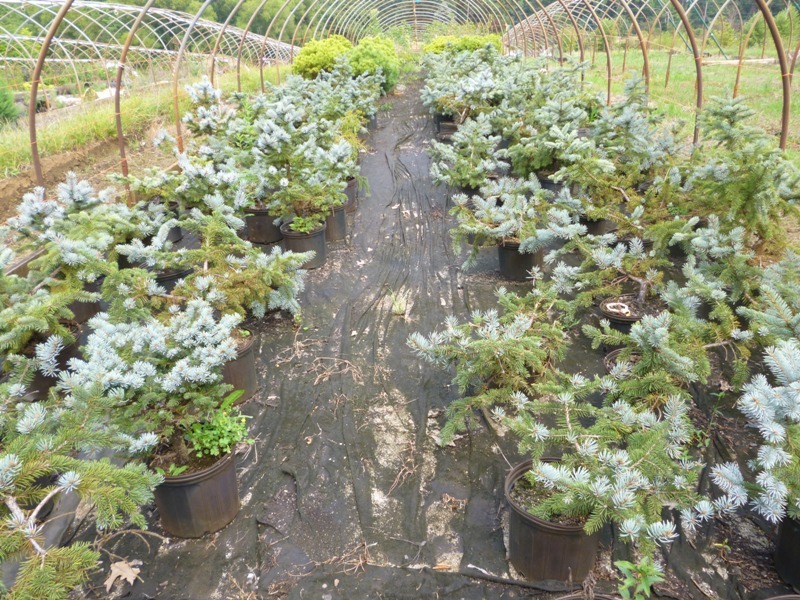 It may take 2 or 3 consecutive years of healthy growth and nutrient transfer from roots to new needle growth to achieve the sought after appearance of uniform coloration of both new and older foliage.